What types of pipes are there? Pipes vary in material, size and design and a lot of it will come down to aesthetics - you have to like the look of it as you’ll be spending a fair bit of time together, but apart from this, material and portability are the most important factors. Metal pipes are incredibly durable and are generally safer to travel with and take out to parties or gatherings. They aren’t delicate and generally cost less than glass pipes as well, with the added benefit of not really chipping. Aesthetically they’re available in a range of colours and are typically crafted from brass. You may find that the metal does alter the taste of herbs, at least by being on your tongue as you go to breathe in, but this shouldn’t be enough to take away from the herb flavour. Pipes made from glass are easier to break than metal pipes, but you can counteract this by investing in a decent case. Most people think that glass pipes taste better to smoke and are an overall smoother experience. The choice of styles is also huge with different colours blown in different designs and lots of quirky shapes, like this elephant pipe here, and even fish! If you’re going to worry about breaking a glass pipe, maybe have one for home but a metal one for when you’re out. If you won’t worry, you’re free to make any choice! Chillum pipes are straight and conical and were traditionally made from clay. Stylish and narrow, you’ll most likely find them in glass and wooden designs. They have no bowls and instead come with a stone in the end that works as a screen. Originally popular in India they create a great taste but you might need a little practise to use them effectively; you put your smoking mixture on top and light it while holding the pipe at an upwards angle. Quite possibly the coolest of the three main types, they’re rather niche and unique so you’ll feel special pulling one of these out to smoke. 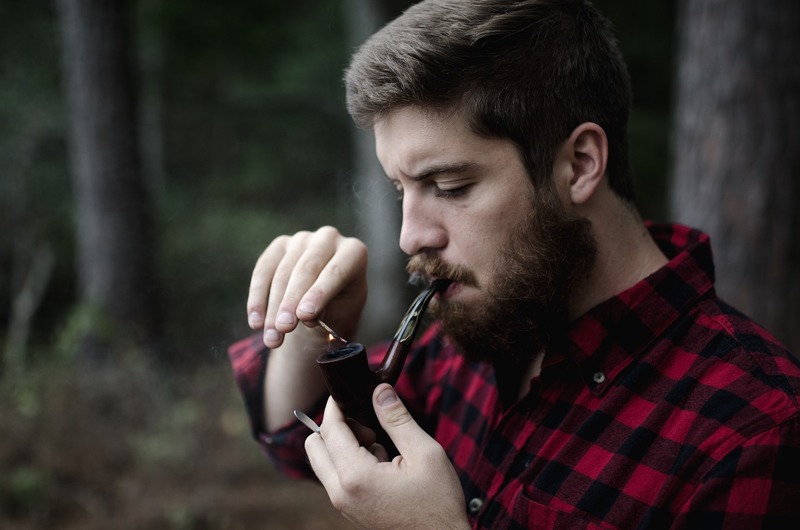 Of course, every so often you’ll want to get yourself a pipe just for fun or for the portability factor, which is where novelty and keyring pipes come into their own (they also make great gifts for smokers). Use pipe cleaners to remove moisture if your pipe starts marking a gurgling sound. If you’re pipe gets too hot it can affect the taste of your tobacco and also be uncomfortable in your hand. Let the tobacco go out, pause, and then relight. Never clean a hot pipe; always wait for it to cool. Check out our range and we’d love it if you left us a review. Stay up to date with us on Facebook and as always, get in touch if you’ve got a question.